Now you can get a complete overview of every candle signal you must know – the ones Steve has privately taught (for $2,000+ per hour) to the world's premier financial institutions, and uses for his own trading. You can now get the recordings of this popular live training event available in our online Candlecharts Academy. Works on any device. Purchase now for instant access. 30-Day Money Back Guarantee. **See details below. This Is The Training You Have Been Asking For – Now It's Here! Not Enough Time For Our Detailed Courses? Give us a few short hours and we will get you up to speed on the essentials of Steve Nison's trademarked Trading Triad System™. This unique approach combines the best of candlesticks, Western technical signals, and using candlesticks to manage your trades. Let Steve give you these powerful techniques to help you prosper in both bear and bull markets. Plus, you can use them in any time frame and in any markets you trade – stocks, commodities, FX, options, and more. This is the first time Steve Nison has ever taught all of this training in such a focused, easy-to-learn way. 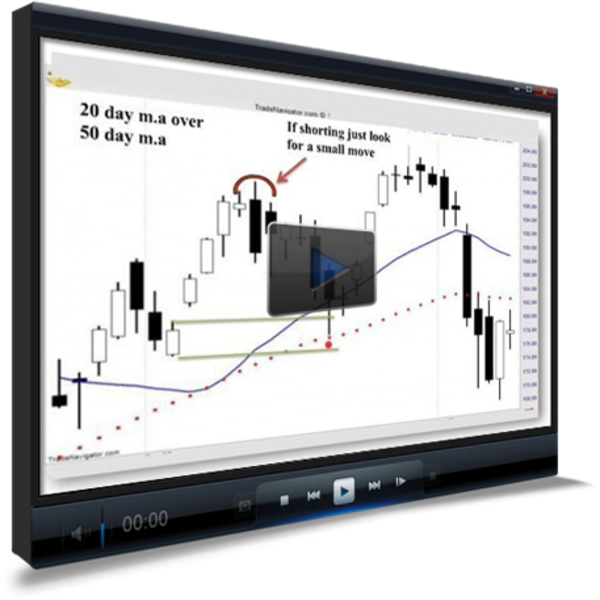 You will get instant access to all this video training in our online training center. Works on any connected device you may have. You will also receive a collection of valuable bonuses with this training. See below for full details. It was exactly what this beginner needed. Steve made it easy enough for me to understand without being overwhelmed and confused. He is impressively skilled at teaching and getting his message across to his audience, that's for sure! I was in desperate need of superb training and have found that with Mr. Nison. I am confident that so long as I continue to study and learn what Mr. Nison is teaching me, it will be impossible for me not to make smart decisions in my trading. I really enjoyed the webinar, it is a refresher class for me and I also learned new things about how to use candlesticks properly. It will surely help as the proper use of candlesticks simplify my trading decisions. I recommend this to everyone, and it's a good way for anybody outside the U.S. like me to learn these topics. I have been a follower of candlesticks for some time now and have attended Steve's classes before. Specifically what I take from this one is the falling and rising windows and the potential target to loss calculations. I liked the combining of East and West and I thought the examples shown throughout the seminar were good. In particular, examples that were not true patterns but at first glance one might have thought so. The seminar was paced just right for me and was very informative. Even so I am sure I there are some things which I missed first time around, therefore I will watch it a few more times. I was able to use the things I had learnt int the seminar as soon as the markets opened and had some winners straight away. In the longer term I think it will improve my trading since it provided a template/ structure to trading which I can use – and which I know I should have been doing already – but Steve's seminar made it seem straightforward and achievable. Reinforce and solidify your knowledge by interacting with Steve during this “chart challenge” portion of the event. Steve will ask you questions based on a specific chart so you can formulate your own answer with the training you have received. Then Steve will give you his analysis so you can compare your outcome with his. This practical application of your learning is a great way to boost your confidence to trade with these strategies on your own. Mr. Nison is not only the acknowledged master of these previously secret candlestick techniques, but is also an expert on Western technical analysis with over 30 years real world experience. 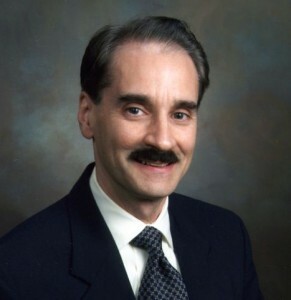 Regarded as one of the most foremost technical analysts in the world, Mr. Nison’s client list includes Fidelity, J.P. Morgan, Goldman Sachs, Morgan Stanley, NYSE and NASDAQ market makers, hedge funds and money managers. He now teaches the public the same secret strategies previously reserved only for his institutional clients. Still Have Questions about This Training Event? How do I get a copy of the charts used in the class? As a free bonus, we include downloadable/printable handouts within the membership area. There are two versions available: one with full-page slides, and another with three slides per page with an area for notes so you can catch on paper all the great ideas and insights as you watch the videos. This is a great desk reference for you to use while you’re trading. Can I download the training videos in a video format (such as avi) to view offline whenever I want or when I do not have access to the Internet? The videos in the On-Demand Training Center are formatted only for viewing online in any web browser – even on smart phones and tablets. How often can I view the online training after the class? The recording can be viewed as often by you as often as you like. And you have the right to view it on up to two computers. Your license to this training is exclusively for you and sharing it with others either free or by charging money is not permitted and your account will be closed down. What if I have additional questions or want to get a customized educational training or software package? Please email paul@candlecharts.com for customized packages designed just for you. Purchase now for instant access to this video training. You will receive a handy Candlestick Express Class Quick Reference Checklist for you to keep at your side as you make a habit out of following all the steps to evaluate each trading decision you make to ensure that it’s a solid, safe choice for you. 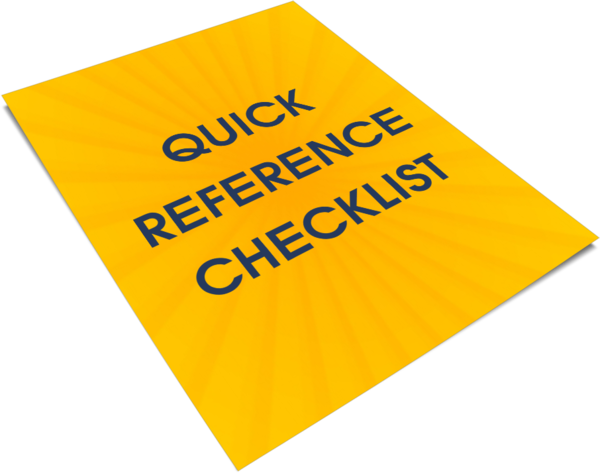 The Quick Reference Checklist is not available anywhere else. As a special bonus, you will have instant access to all of the charts you will see in the class, along with complete explanations to help you use the techniques in your own trading immediately. They are inside the training center in an easy-to-download and print PDF format. This is a valuable collection that will become your trusted reference tool! What is the best way to confirm and solidify about what you learned? 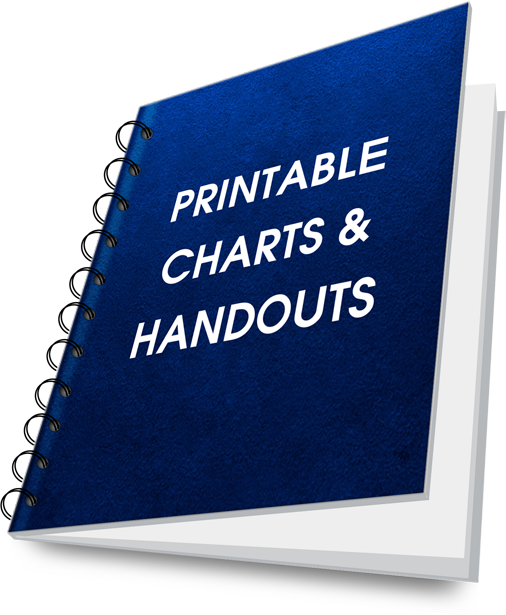 By interacting with Steve during the training to answer “chart challenge” questions he will give you. Using real world charts, Steve will ask questions based on a specific chart so you can formulate your own answer based on what you have learned to that point. After you have come up with your own answer, Steve will give you his analysis so you can compare your outcome with his. This is a great way to boost your confidence that you have learned the most important aspects of The Candlestick Express Class. Purchase now and get instant access to this video training. Try It! You are protected by our 30-Day Money Back Guarantee. **A restocking fee of 15% of the purchase price will be applied.